A subscription to Golf Course Architecture magazine is an essential guide for anyone who is involved in building and designing a Golf Course.Golf Course Architecture is a quarterly publication focused on the design and modification of golf courses. 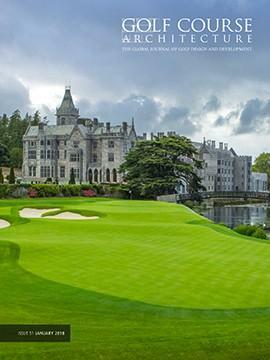 The magazine is essential reading for any golf course manager, resort developer, golf course architect or golf course supplier.Golf Course Architecture magazine has been serving its subscribers and readers with the very best of golf course architecture since June 2005. Published by Tudor Rose this magazine is one great choice for golf club managers, developers and architects looking for insight into golf course designing and modification. Excellent magazine with interesting and informative articles. A simply stunning designed magazine, the look and feel of this publication is fantastic. I enjoy loooking at the layout more than reading the actual articles. As I said stunning and informative.